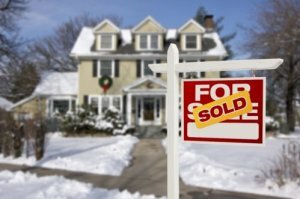 How Do I Sell My House Without An Agent in Beverly MA? If you’re looking to sell your house or investment property in Beverly without using a real estate agent, we can help. Although we do appreciate brokers, sometimes it’s best to avoid paying someone to be in the middle. After all, paying 5-6% of the sale of a property in a commission is a lot of money. In certain situations, Massachusetts brokers and real estate agents can be very useful and earn their commission. Not always. How Do I Sell My House Without An Agent In Beverly? There are a few ways to avoid paying high commissions in your Mass home sale. First, there’s a tricky custom that you’ve got to know about. In most sales in Essex County, roughly half of the commission you pay as the seller goes to pay for the buyer’s broker. Doesn’t make a whole lot of sense, right? Truthfully, we’re not sure why – it’s just what’s typically done. Though, it is true that in some negotiations a buyer will agree to pay realtor commissions. With the hot market in Beverly and the rest of the Northshore right now, the uber-competitive move-in ready 1500sq ft 3 bed 2 bath homes will see this more often than not. However, if your home isn’t in the best shape, or doesn’t cater perfectly to all those young families looking to move, you’ll probably still be paying this. You can use this knowledge to your advantage in a few ways. First thing is to factor in the commissions paid when you’re looking at the comparable sales. For example, did one home sell FSBO (for sale by owner) for $400,000, and another sold with an agent for $425,000? With commissions, the seller is getting the same amount with these two properties. Don’t underprice your property – be aware that a savvy buyer may expect to take a discount too. If you’re doing the work of one agent, you can expect to save that money. What I mean is, sometimes in real estate, buyers who aren’t represented by an agent won’t remember to negotiate the buyer’s side commission out of the price for themselves, so don’t remind them if you don’t want to pay them. Just don’t be surprised if it comes up during the negotiation. If you don’t leave room for the buyer’s agent’s commission, you’ll be excluding buyers using an agent in Beverly. Over 90% of transactions happen through the MLS – that’s the Multiple Listing Service. It’s the main database that all the brokers in Beverly and all of Massachusetts use to access information for their clients regarding the houses, condos, land, and investment properties for sale. It also has historical data, past sales, and agent-only information on buyers and sellers. Before the MLS had been fully converted to the web, you had to pay a full commission to get your property on there. Now in the area, there are a few brokers who will charge you a fee just to put your property on the MLS. Often, you spend a few hundred bucks and you only pay a commission if the sale closes. In this way, compared to the cost of a newspaper or paid online ad, the MLS can be a cheap way to market your property to a very wide audience (remember that the vast majority of sales happen via MLS). All the major real estate search sites like Realtor.com, Zillow, Trulia, etc. get data from the MLS. Chances are good that when you submit your listing in Beverly to the MLS, your property information will end up on most of the major sites within a few days. Each of those sites, of course, sells ads. You can buy packages that let you pay to enhance your listing, feature it at the top of the search, and a lot of other bells and whistles that might or might not get an interested buyer to purchase your property. Advertising is a gamble. Sometimes open houses in Bevtown and surrounding areas can be a great way to sell a property, and sometimes they’re a waste of time. Have you ever driven by those houses that have two open houses a month, with cars clogging the street, and don’t sell for many months? Same with newspaper ads, craigslist postings, fancy signs, etc. – sometimes they work, and sometimes they don’t. Sometimes it is about price, and sometimes it is location or condition of the property. Right now it’s not about the economy, but 10 years ago economic factors could also have been at play here. 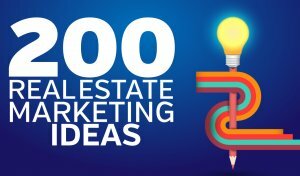 If you’re thinking about selling your house yourself in Beverly, you may find some useful marketing ideas here. If you want to effectively sell your property on your own, you must market it well. Putting up fliers and signs around your neighborhood can generate some calls, and there’s a lot of free websites where you can post information. But often just putting up flyers and hosting an open house isn’t enough if your house doesn’t appeal to the average home buyer. We pay fair prices for properties – and we can close quick (in as little as 7 days if the deal is right). 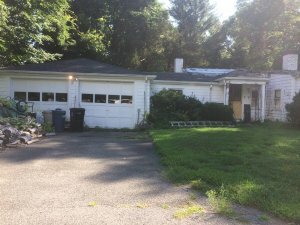 Sometimes we’ll purchase local houses, fix them up, then rent them out to some awesome tenants… sometimes we’ll fix them up and sell them to other people looking for great homes in the area… and sometimes we sell the houses to other investors if the deal isn’t just right for our business. After evaluating your home and situation, we can make the call on which of these we will move towards. We’re local investors who care a lot about Beverly, and would love to hear from anyone in Essex County who is thinking about selling without an agent. We can close fast and pay cash in as little as just 7 days. Give us a call now at 978-712-8250 or fill out the short form over here.